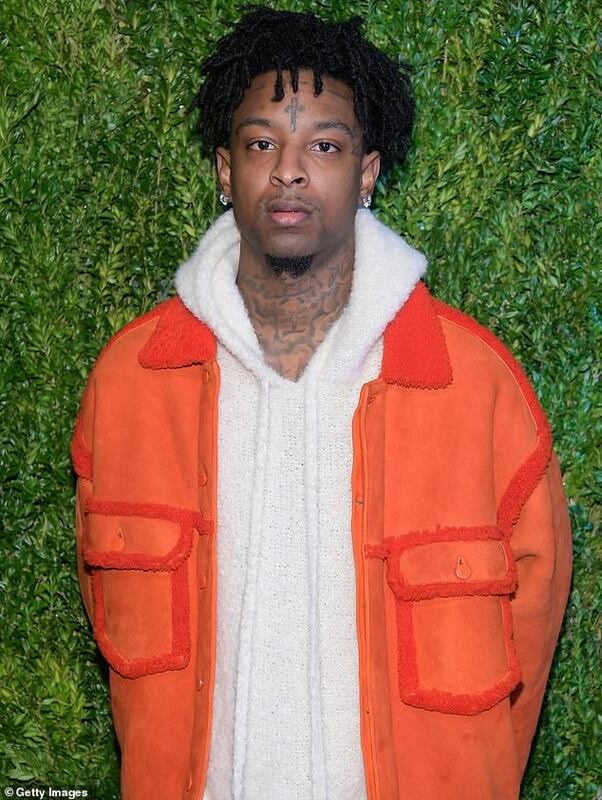 Rapper 21 Savage, whose given name is Sha Yaa Bin Abraham- Joseph was arrested in the Atlanta area Sunday morning by ICE officers. ICE spokesman said the 26-year-old rapper is a British citizen who entered the US legally in July 2005 at the age of 12 but overstayed his visa which expired in 2006. Records show his birth is registered in the London borough of Newham. Abraham-Joseph is still in ICE custody and placed in deportation proceedings. 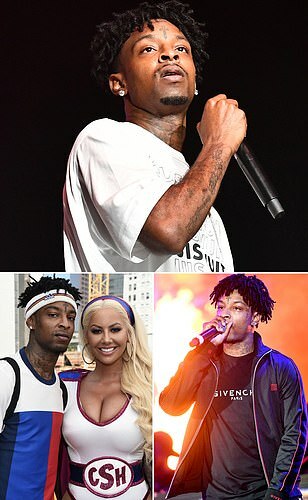 This comes as a shock to his fans who believed 21 Savage, who previously dated Amber Rose, was an Atlanta native. Abraham-Joseph is nominated for two awards at next week's Grammys. He performed in Atlanta last Thursday in the Super Bowl Music Fest at State Farm Arena but was arrested yesterday. Until last night it was believed that he was born and raised in Atlanta - with the Georgian city the inspiration for his music. But ICE said last night: 'His whole public persona is false. He actually came to the US from the UK as a teen and overstayed his visa'. Bryan Cox says the rapper, whose given name is Sha Yaa Bin Abraham-Joseph, is a British citizen who entered the US legally in July 2005 at the age of 12. He says the 26-year-old overstayed his visa, which expired a year later in July 2006. 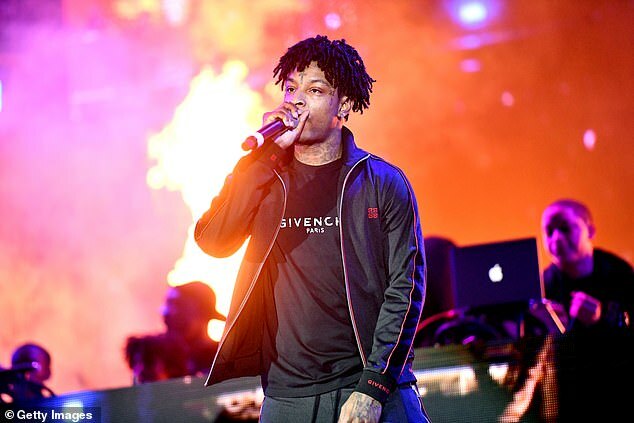 21 Savage, who previously dated model Amber Rose, was arrested Sunday morning in a targeted operation in the Atlanta area. This comes as a shock to his fans, who considered the rapper an Atlanta local and born and brought up in DeKalb County, which covers the eastern suburbs of the city. Cox said Abraham-Joseph was convicted on felony drug charges in Georgia in October 2014.